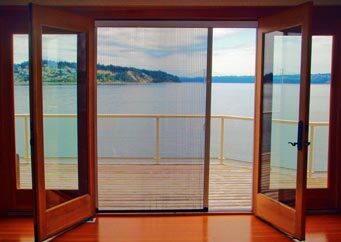 Genius Retractable Screens fit nearly any doorway or window and disappear in the natural recesses of the frame making them virtually invisible -- there when you need it, and disappear when you don't. 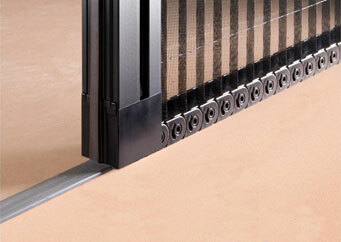 Genius screens are easy to install, provide quiet, smooth operation, and give complete protection against airborne pests. Customizable Retractable Screens by Genius! With Genius Retractable Screens, you can have the best of everything - fresh air, style, and functional protection. 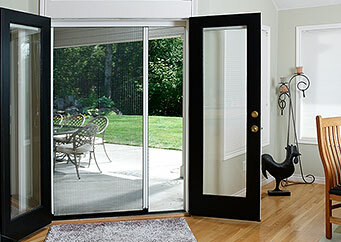 Genius offers retractable door screens, window screens and specialty screens, and their new sheer pleated screens. The Sheer Screen Advance by Genius is the first pleated screen in the U.S. market cut to size on site rather than pre-cut at the factory. The Sheer Screen Advance does not have a bottom guide rail. The track installs flat to the ground so there is no runner to trip or step over, making the Sheer Screen wheelchair accessible. The construction of the screen uses only the best materials available and the screen moves back and forth with just a gentle touch. And, for those applications looking for a distinctive look, the Sheer Screen Advance provides a fresh contemporary look.